Credit card companies want you as a customer. Why? So they can make money. Interest rates and fees take away your hard-earned money and put it in their pockets. It’s why so many people are in debt. They make poor decisions with their credit cards and before they know it, that $1,000 TV has cost more than $2,000 after interest and late fees. You can bet that the credit card companies are laughing all the way to the bank when you do silly things like that. Let’s face it – we’re not perfect. Life happens and sometimes credit card payments aren’t on your mind, especially when you’re facing situations such as unemployment, a move, a serious illness or a death in the family. However, credit card companies aren’t always sympathetic to your situation and still demand that you pay your cards on time as well as any fees that you incur. 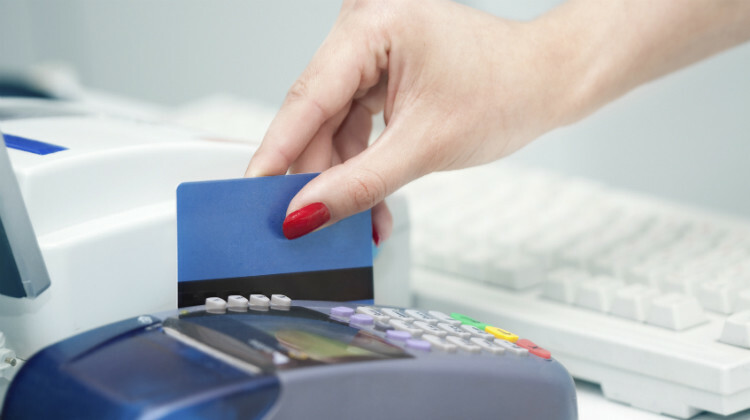 Some credit card companies will charge fees for just about everything. You may be charged $49 to request a credit limit increase. If you close your American Express and then decide to reopen it, you’ll get charged $25. Need a copy of your monthly statement? Do some research and try to find it online first or your card company may charge you as much as $10 per statement. Want to add your spouse as an authorized user of your credit card? Expect to pay up for that as well. There are just some fees you can’t get around, but there are others you should always be able to avoid. Read on to find out which three fees you should never pay your credit card companies. Have you ever been short on cash, and payday seems light years away? Yeah, we’ve all been there. You may have considered taking some cash from your credit card. Yes, it’s tempting, but beware – you’ll be paying for it, in more ways than one. A cash advance from your credit card is like a short-term loan. It can cost you big time, and you’ll likely be regretting it by the time you receive your next statement. You’ll likely have to pay a fee just for getting the cash – up to 5% of the amount. You’ll also have to pay sky-high interest rates – rates that are higher than your regular interest rate. There is often no grace period, so the interest starts accruing the moment you withdraw the cash. On top of that, there are limits to how much cash you can take out. Sometimes it’s 20% of your credit limit. For some people, that amount may be around a few thousand dollars, so determine if it’s really worth it or if you’re better off borrowing from family or some other source. If you do decide to take a cash advance, pay it off as quickly as possible and turn it into a learning moment. Vow to always have a stash of emergency cash on hand so you never have to consider this method again. Many of us have never left the country, so this isn’t such a big deal, but if you’re a globetrotter, you definitely want to get rid of your credit card if it charges you fees everywhere you use it abroad. A foreign transaction fee is typically 3% of a purchase made at a retailer outside of the United States. This may not seem like a huge deal, but if you’re on a month-long trip in Europe and using your credit card to pay for everything, you could see a charge for hundreds of dollars once you come back home and see your statement. Even if you don’t leave the United States, you could incur these fees if you buy something from an online store located outside the country. There are plenty of cards that charge no foreign transaction fees, so if you travel often, make sure you get one. This fee is absolutely avoidable. Nowadays, with autopay and a plethora of reminder apps that can help you manage credit card payments, there’s no excuse for forgetting to pay your credit card bill. If the reason you couldn’t pay your credit card is because of a lack of cash, then at least do what you can to make the minimum payment. That’s because missing just one payment – or being just one day late - can start a ripple effect. You’ll get charged a late fee ($35 or so), you may get charged your card’s penalty interest rate and then the late payment will show up on your credit report. If this is your first time making a late payment, your credit card company might cut you some slack. Call as soon as you remember and plead your case. Explain your situation and ask for a one-time fee waiver. If you have a long and solid history of paying on time, then the company may oblige. Nobody wants topay credit card companies more than they have to. By being responsible with your money, choosing the right card and staying on top of your payments, you can avoid the costly fees listed above. You’ll keep more cash in your pocket to spend on yourself, not your credit card company.